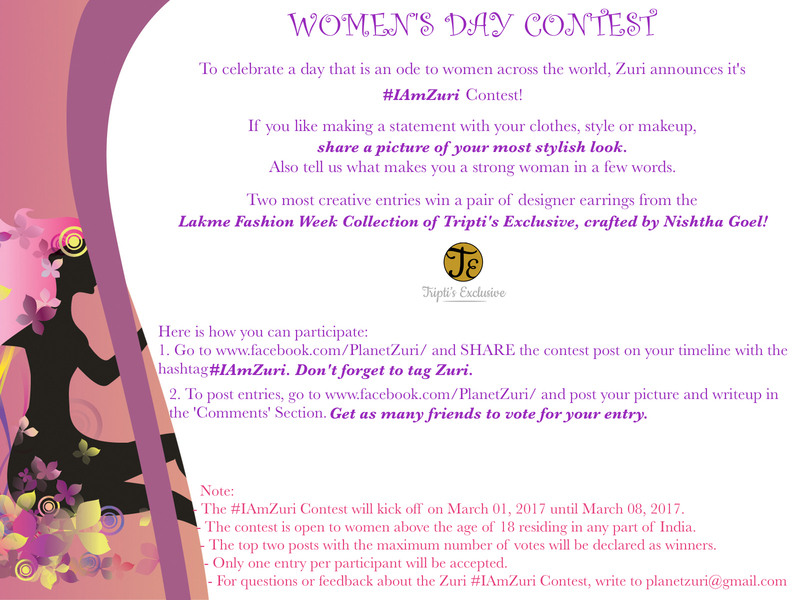 Read on to know how to participate in this awesome Women’s Day contest and win amazing prizes! 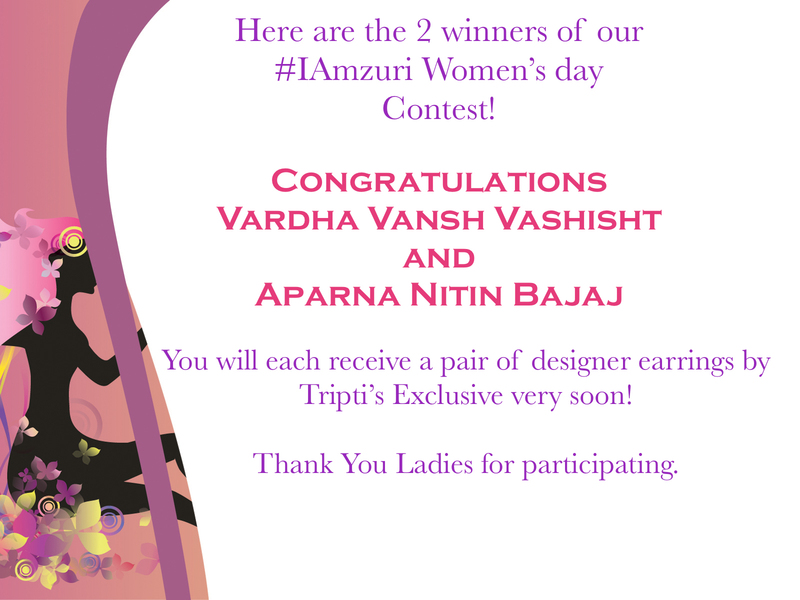 To celebrate a day that is an ode to women across the world, Zuri announces it’s #IAmZuri Contest! If you like making a statement with your clothes, style or makeup, share a picture of your most stylish look. Also tell us what makes you a strong woman in a few words. 1. Go to www.facebook.com/PlanetZuri/ and SHARE the contest post on your timeline with the hashtag #IAmZuri. Don’t forget to tag Zuri. 2. To post entries, go to www.facebook.com/PlanetZuri/ and post your picture and writeup in the ‘Comments’ Section. Get as many friends to vote for your entry.